WASHINGTON -- President-elect Donald Trump is expected to nominate Oklahoma Attorney General Scott Pruitt to lead the Environmental Protection Agency, a source close to Pruitt said Wednesday. Environmental groups quickly denounced the choice. Pruitt, 48, has been a reliable booster of the fossil fuel industry and an outspoken critic of what he derides as the EPA's "activist agenda." The person close to Pruitt who provided the information about Trump's pick spoke on condition of anonymity because the person was not authorized to speak publicly. Though his academic degrees are in political science and law, Pruitt has been a vocal public denier of the overwhelming consensus of the world's climate scientists that the Earth is warming and that man-made carbon emissions are to blame. In an opinion article published earlier this year by National Review, Pruitt suggested that the debate over global warming "is far from settled" and claimed "scientists continue to disagree about the degree and extent of global warming and its connection to the actions of mankind." 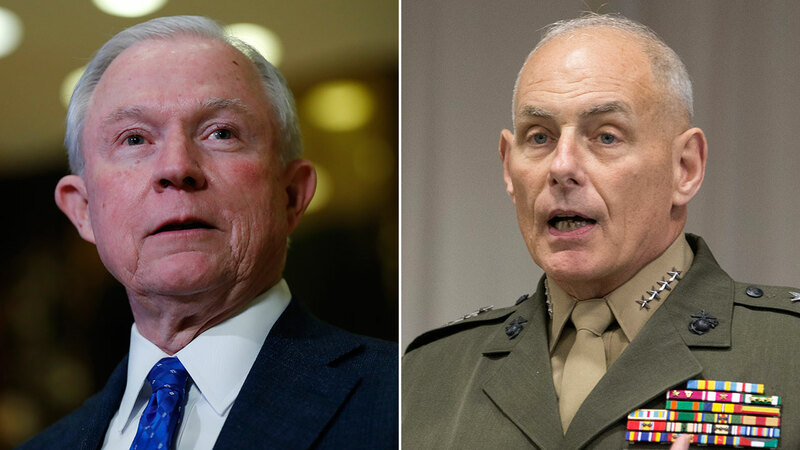 Donald Trump has offered these people a job in the White House. Representing his state as attorney general since 2011, Pruitt has repeatedly sued the EPA to roll back environmental regulations and public health protections. He joined with other Republican attorneys general in opposing the Clean Power Plan, which seeks to limit planet-warming carbon emissions from coal-fired power plants. Pruitt has argued that curbing carbon emissions would trample the sovereignty of state governments, drive up electricity rates, threaten the reliability of the nation's power grid and "create economic havoc." He also filed court briefs in support of the Keystone XL Pipeline project blocked by the Obama administration, which would have run through his state. Pruitt also sued the EPA over the agency's recently expansion of water bodies regulated under the federal Clean Water Act, which has been opposed by industries that would be forced to clean up contaminated wastewater. "Respect for private property rights have allowed our nation to thrive, but with the recently finalized rule, farmers, ranchers, developers, industry and individual property owners will now be subject to the unpredictable, unsound and often byzantine regulatory regime of the EPA," Pruitt said last year. As word of Pruitt's nomination spread Wednesday, environmental groups quickly responded with condemnation. "Scott Pruitt has built his political career by trying to undermine EPA's mission of environmental protection," said Fred Krupp, president of the Environmental Defense Fund. "He is a deeply troubling choice to head the agency that protects the clean air all Americans breathe and the clean water we drink." Business leaders in his home state, however, lauded Pruitt's selection, especially those in the oil and gas industry. 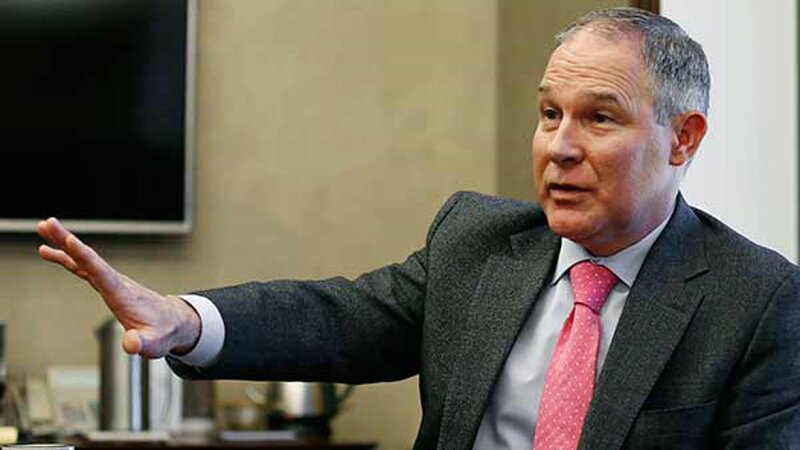 "Scott Pruitt is a businessman and public servant and understands the impact regulation and legislation have in the business world," said Jeffrey McDougall, chairman of the Oklahoma Independent Petroleum Association. "His appointment will put rational and reasonable regulation at the forefront."